It was actually very cool last year when we were in San Francisco. We were lucky and one of the warmer days was the day we went to Fisherman’s Wharf and we were able to eat outside. 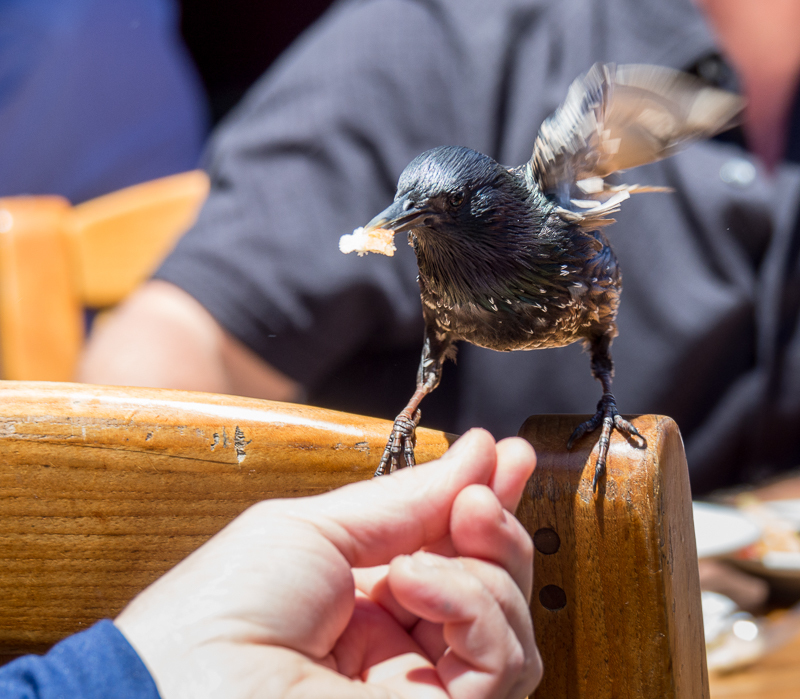 This bird was eating out of the hands of the guy sitting at the table next to us and then Chris gave it a try.